Portfolio is published annually for Carl H. Lindner College of Business alumni, donors, faculty and staff as well as other college supporters. Each print edition features profiles on alumni, current students and faculty, as well a year-in-review section and the latest information about the college and its mission. It's an exciting time at the Carl H. Lindner College of Business. Read a message from Interim Dean Nicolas Williams on the year ahead. Deloitte's Diana O'Brien and Lindner Associate Dean Suzanne Masterson weigh in on the theoretical and practical implications of new educational spaces, such as Lindner's new state-of-the-art building. Lindner Economics students explored the marketability of the invasive lionfish species, but could selling this fish in stores make the problem worse? Read more. This 2018-19 academic year marks the University of Cincinnati's “Boldly Bearcat” Bicentennial, an extraordinary milestone that comes only once in a lifetime. Although the Lindner College of Business hasn't been around for 200 years, we've certainly celebrated a number of momentous milestones within our 112-year history. Let's take a walk down memory lane. As one of Enerfab's first ever co-op students, CEO Scott Anderson never thought that one day he would be leading the company. Learn more about Scott's journey, and read the latest on other alumni, like Starbucks Chairman Myron "Mike" Ullman and young humanitarian Katelyn Jarvis. Impressive statistics collected by Lindner Career Services show the immense value of experiential learning. Members of our Business Advisory Council reflect on their careers and offer advice for aspiring business professionals. Read the extended Q&A. 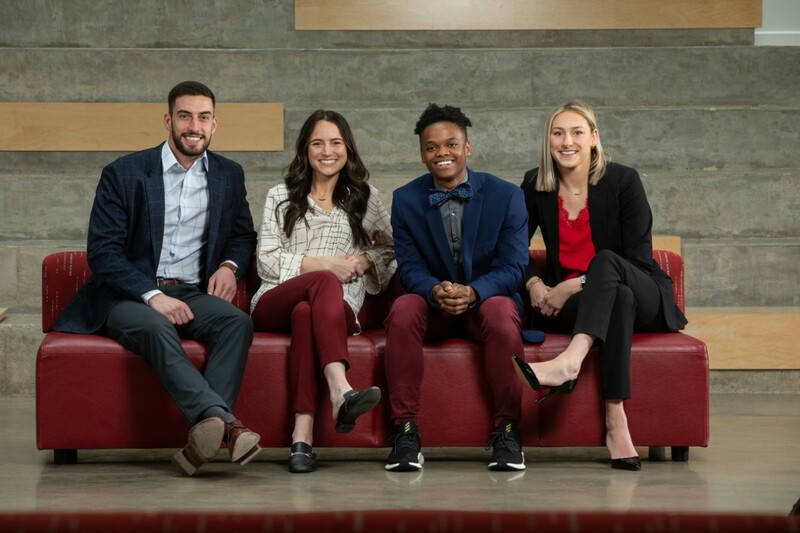 A sampling of our top students reveal how the Lindner College of Business has impacted them, both personally and professionally. Marketing Professor, Drew Boyd, and wife, Wendy, establish new award for innovative teaching. The latest research from Lindner PhD students Daniel Grossman, Yu-Jou "Abby" Pai, Rui Sundrup, and Ruomeng Wu. Lindner researchers partner with UC's College of Medicine to build a data model that proves the most effective antidepressant treatment. Plus, departmental research highlights, and a new grant for big data research. As co-CEOs and brothers, Carl and Craig Lindner demonstrate the true power of teamwork. Read more. A tale of two passions: teaching and technology. Read more. MBA delivers great return volley. Student lands dream job at Procter & Gamble. Read more. Recent grad and Presidential Leadership Medal of Excellence winner reflects on her journey to Google. Read more.